Dear Tibetan people and supporters around the world: Let us all unite under one administration of Tibet, and one democratically-elected political leader. Let us follow one policy, the Middle-Way approach, with one conviction — free Tibet. Let us think, speak and act with one common voice for resolution of the Tibetan issue. Let us move forward to end the serial self-immolation in Tibet — wherever we are settled, whichever citizenship we have, and whatever faith we have. Let us all call for finding a middle-ground solution that takes care of the core interests of both China’s security and Tibet’s freedom. It is common knowledge that in the past, Tibetans in the corridors of power did not pay attention to the famous testaments of the Great 13th Dalai Lama, and that failure has landed us in the present wretched situation. If we fail to pay due attention and support to the realistic visions of His Holiness the 14th Dalai Lama when he is living amidst us, then the future of our coming generations is at stake. Let us learn from past history, and not make the same blunders in the future. Haven’t folks among us disappointed our most appreciated leader His Holiness the Dalai Lama? 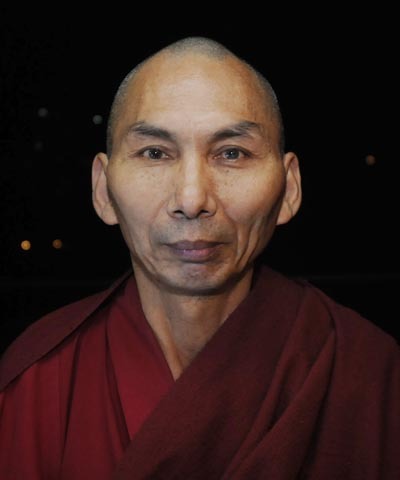 In his public speech in Ladakh on 3 August 2012, His Holiness himself pointed out critics like Tibetan Youth Congress, and some individuals who have criticised him for “winding up the Tibetan government-in-exile”. He has cautioned us that unless we ensure Tibetan unity in exile, we might plunge into an abyss of repentance later. The present repressive policies of China in Tibet, including Tibetan areas Amdo and Kham, that sparked the serial self-immolations cannot win Tibetan hearts, for where there is oppression there will naturally be resistance. With China’s rising economic and military influence and the trade benefits sought by all the major world economic powers, including the only superpower the US, it cannot be feasible to seek an independent Tibet. China has linked Tibet to its national road, railway and air network. With that, Indian security interests have been directly threatened, yet India has not raised a single voice of protest against the Chinese expansionist designs despite suffering from devastating border war in 1962. In such a scenario, how could we expect to mobilise other world powers that are lying across the seas? Any acts of support to the Tibetan cause by the Western powers such as the European Union, the US, and Australia are met with Chinese threats of cutting off trade relations. How could we mobilise these major world economic powers to favour an independent Tibet? Not by resorting to confrontation and angry protest, but by cooperation and dialogue that appeals to the free world conscience can we possibly mobilise an understanding from all quarters, including hardliner and conservative China. The world is full of messy spots: Iran nuclear issue, Syrian civil war,conflict between North and South Sudan, South China Sea dispute, perenial Palestine and Israel tension, Korean reunification, war-torn Afghanistan, etc, not to mention mind-boggling natural calamities of massive earthquake, tsunami, superstorm, hurricanes, wildfires, etc. Add to them the precarious global economic crises. Where would the Tibetan issue stand among all these problems? Diplomacy through dialogue is a key to better human understanding, and it is the only viable and realistic approach to settle the critical Tibetan issue. Six million Tibetan people in prison-like Tibet will be hurt if we in the free country don’t advocate for them with utmost care and caution. If we do not, our very purpose in the freedom struggle would be futile, whether we are for independence or the middle-way policy. The majority of Tibetans are for the middle-way solution for a meaningful and genuine autonomy for Tibet within the constitutional framework of China. From a public poll conducted within the exile Tibetan community in 1997, 65 percent of the voters favoured the “Middle-way” approach. People in Tibet are so deeply devoted to His Holiness that they are calling for His return even when dying in an inferno. This clearly shows that they endorse his “Middle-way” policy. No responsible person or organisation should thus misinterpret Tibetan people’s cry for “freedom” with a call for “independence”. Let us send a clear message to both our friends and our adversaries. Let’s unite under our undisputed leader His Holiness the Dalai Lama, who has worked tirelessly since the tender age of sixteen to his present seventy-six, for sixty long years, solely for Tibetan freedom and destiny. He symbolises compromise and reconciliation. The Tibetan problem as it exists today has its roots in the remote past in the late nineteenth century and early- to mid-twentieth century, when the world everywhere was in a tumultuous state with WWI and WWII. The Tibetan government in Lhasa then let the Chinese invaders build a road right from China into the heart of independent Tibet. Once the road construction was completed, China was able to access the high Tibetan plateau at its free will with truckloads of Peoples’ Liberation Army troops and tonnes of arms and ammunition. By that time peaceful revolt against the invading army in the eastern province of Kham and Central Tibet was ineffective against the heavily-armed Chinese soldiers. Since then the unresolved Tibet-China political relation has remained in a messy state of a hide-and-seek sort of blame game to this day. Remember that His Holiness the Dalai Lama was awarded the Nobel Peace Prize for his peaceful Tibetan freedom struggle. The international community has openly supported this call and has raised the Tibetan issue on the basis of this policy. Some world leaders have openly asked the Chinese leaders to enter into dialogue with representatives of the Dalai Lama. Many Chinese scholars, activists and artists have supported the “Middle-way” policy. One argument for holding out for “rangzen” (independence), is that just as the Soviet Union disintegrated in the 1990s, so will this eventually happen to Communist China. But the ground realities of the two countries are very different. Tibetans advocating for independence may argue that the former Soviet Union disintegrated. The fact is that, Soviet Union collapsed due to a bigger game plan. On top of the poor economic situation of the country, western powers exerted collective external pressure which led to the downfall of the former communist block. We must remember that China today is an emerging economic superpower, with political veto in the United Nations as well. How much could we expect these same western powers that helped bring down Soviet Russia to support an independent Tibet? Even the only real superpower, the US, is desperate for the Chinese market. Can we realistically expect the US to exert pressure on China over Tibetan independence? We must recognise that unless the Chinese leaders admit that Tibet is an issue, there is not much outsiders can do to influence them anyway, and of course not at all by confrontation. Of course, possibility of change cannot be ruled out in this unpredictable geo-political world, as exemplified by the Arab spring. To conclude, I feel that unity is the need of the hour. Tibetans are dying in flames calling for the return of His Holiness and restoration of freedom in Tibet. Let us raise our persuasive voice in unison with those 1.3 billion Chinese for freedom, democracy and rule of law, and genuine harmony and peaceful co-existence among the many nationalities in the whole of China. We can eventually hope for a United Nationalties of China like the United States of America and European Union where unity in diversity is a strength for the common good of all people. The free world knows the reality: That Tibet has been denied justice, and China is simply bullying. Privately,former Indian Foreign Secretary Kanwal Sibal writes in the news magazine THE WEEK, “India has no reason to trust China”. The United States Congress recognise Tibet as “an occupied Country”. Ultimately, the decision-making power is with the executive head of the democratic country. Stand up for the “Middle-way” policy for the mutual benefit of both Tibet and China. Way back in the 1980s His Holiness predicted, “Tibet’s economic interest will be better under a rising superpower China.” Today China is the second largest economic power. Help save precious Tibetan lives before it’s too little too late, and help save 1.3 billion Chinese people. That’s what Chinese people aspire to. A messy China could be a harbinger of messy world. We are all sailing in the same boat. Be decisive now. Editor's NOTE-- Tsering Choekyap is a Tibetan monk, currently studying Buddhist philosophy in the north Indian hilly town McLeod Ganj, Dharamshala. And the above article is originally published by the Tibetan news portal Tibet Sun. The Middle Way Path does not call for Tibet's Freedom. Instead it seeks autonomy under the People's Republic of China, that is not true freedom. Thus far the Middle Way approach has made absolutely no progress with the Chinese, so why continue pushing a policy that has failed? Why not develop a new policy that is realistic and could actually increase the possibility of peace for Tibet. Tibet's economic situation is only slightly better now and in truth little of the millions of dollars poured into the TAR by the PRC has benefitted Tibetans. Mostly it has benefitted the Chinese. You can read Andrew Fischer's research on this topic. Lastly while I agree with you that Tibetan's need to unite under one plan, it's past time to face the reality that the Middle Way Approach has been no more successful than the Freedom movement pushed by SFT & TYC; it's time for something completely new. Rebe, the demand of Tibetans in Tibet is Dalai Lama return to Tibet. If,HH. the Dalai Lama in Tibet means Tibet will do its own policy under the path of middle way policy. Most urgent is HH the Dalai lama in Tibet and then Tibet will keep the culture, religion, language, politics and the people. Actually whatever the demand of the NGO's and exile administration, the requirement is same but different in explanation and sounds different too. I am little bit anxious of this point that "autonomy under the people's Republic of China, that is not true freedom". It can be possible through dialogue, Bhutan is one of the example. I feel the middleway approach is most appropriate to the china for their benefits and Tibet is ready to accept the debt. But Tibetans are more closely seeking peace in land, and more natural things that Tibet owes remain forever. Future Tibet is not looking for more development, but stronger spiritual place then that exist today and Tibetans knows materialistic world will not give lasting benefits that exist in western countries. I agree with you that Unite under one plan is most important, whether its right or wrong path but there will be a result. UNity is must, to form an unity is difficult but its possible. Its difficult becoze 1.5 million exile do not live in a same country, but if there is will, there is a way. so needs a strategy and more manpower. Tibetans within the communities have to organized and an analysis related problems through understanding of our massive egos. I can see, my fellow Tibetans will soon in Tibet. Bodgyal! I appreciate your response Anonymous, however it seems you are missing the main point that China is not interested in the Middle Way Policy and the demands within the 5 points it contains. Regardless of what Tibetans in Tibet want or believe, reality must still be faced. The Tibet autonomous region (TAR) has become a military zone for China, one that is currently imperative to the power and and security they need. The happiness of Tibetans is of no concern to China's leaders as long as control of China's back door along India's borders is secure and the TAR remains a staging area for future possible warfare. None of the meetings between HHDL's envoys and China have produced an ounce of movement away from China's overall strategy in Tibet. If you want to change a system you must first understand how that system operates - in short understanding why exactly from a geographical, economic and political viewpoint is China so bent on maintaining its hold on Tibet. P.S. according to the UN and CTA data there are less than 150 thousand Tibetans in exile today, not 1.5 million. Lama Tsering la, Are you suggesting If NGO such as TYC & SFT change their goal to Middle way policy therefore we will be more stronger or are you blaming NGOS for unfruitful of middle way policy. The fact is majority of tibetan agree with the Middle Way policy and it is also a fact that TYC & SFT play and still playing big part in our struggle. I wonder how chinese communist govt would react if NGOS who are for independent change to tibet govt in exile policy? Rangzen warrior are important part of our freedom struggle! I am for complete independence as well as a staunch supporter of CTA. I always see that middle path or total independence are two sides of the same coin. I am for complete independence since my childhood. It is not that middle path failed but the lack of chinas response to it has failed. Untill there is a alternative solution, I will stick to INDEPENDENCE. Atleast that keeps my spirit alive for the Freedom of TIBET.